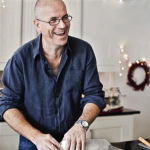 Polish your baking trays and don your aprons, Richard Bertinet is coming to the December meeting to talk pastries and patisserie. Usual place and time – 7.30 for 8 on Wednesday 3rd December at Bathwick St Mary’s. There’s talk of cake, mulled wine, sparkliness and Gallic charm… how can anyone resist?